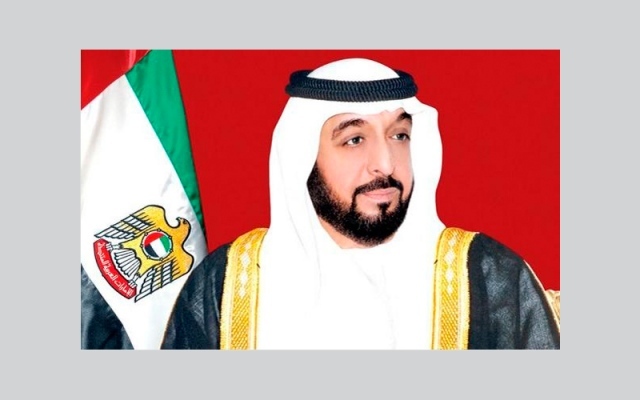 In the capacity of ruler Abu Dhabi, His Majesty Sheikh Khalifa bin Zaied Al Nahian, President of the UAE, has adopted a law amending some provisions of Law no. 19 from 2005 on ownership of real estate. – Citizens and those who are similar to physical and legal persons. – Public joint stock companies that do not exceed 49% of non-nationals. – Any person to whom the decision was made by the Crown Prince or the President of the Executive Council. 2. Non-citizens of natural or legal persons should possess and acquire all original rights in goods and subordinates to immovable property within the investment areas and use all such things. The new Article 4 stipulates that a person entitled to enjoy or right for more than ten years without the permission of the owner to dispose of this right, including his mortgage. The host can not bet it without the consent of the owner of the fruit or musash. .
His Majesty Sheikh Mohammed bin Zaied Al Nahian, the Crown Prince of Abu Dhabi and the Deputy Chief of the Armed Forces of the United Arab Emirates, sent Chief Executive Abu Dhabi, the head of the Abu Dhabi Executive Board, to study the development of the real estate sector in Abu Dhabi in accordance with international trends and standards. In Emirate, the Executive Board has proposed the "Modernization of Property Laws" after studying the needs of the real estate sector and holding a series of meetings with stakeholders, investors and investors to determine ways to develop the real estate sector and consolidate Abu Dhabi's status and destination destinations. Raiia quality at the level of the region. Sheikh Khalid bin Mohammed bin Zaied Al Nahian, Chairman of the Executive Board, said: "The modernization of real estate laws reflects the support of the wise leadership of the government's vision for the development of the economic sector in the emirate with the support of HH Sheikh Mohammed bin Zaied Al Nahyan, the Crown Prince of Abu Dhabi and the Deputy Commander Armed Forces and the continuation of his Highness Sheikh Hazza bin Zaied Al Nahian, vice-president of the Abu Dhabi Executive Council, stressing that the modernization of legislation and laws related to acceleration of economic g growth is very important to support the development of landscapes and business in Abu Dhabi, Procedures. He pointed out that the new law has positive effects on the real estate sector and the various development sectors in the emirate, which will encourage investors to invest in this vital sector and acquire land in investment areas of the Emirate of Abu Dhabi and develop it. The new law will play a key role in attracting more international investment. In the real estate sector in the emirate.